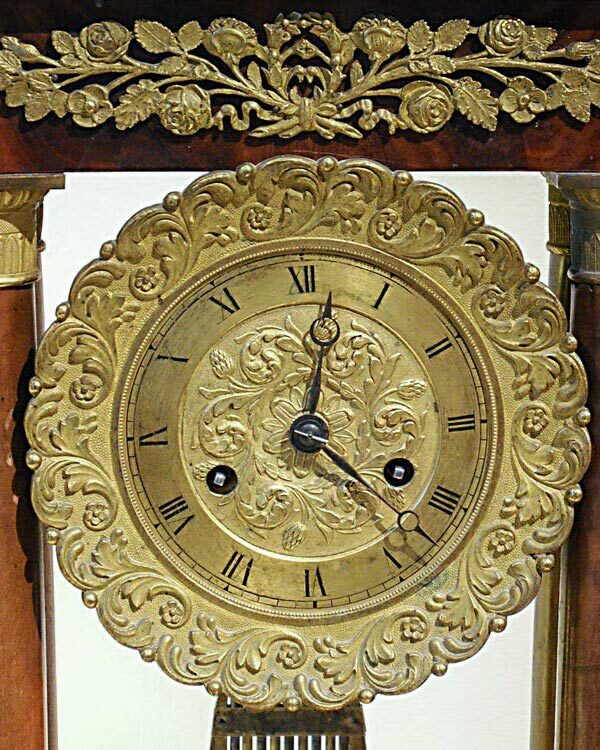 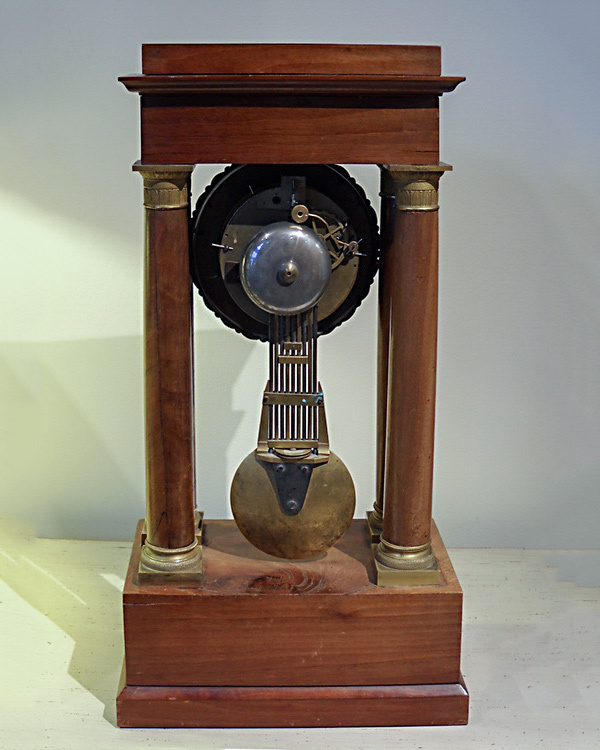 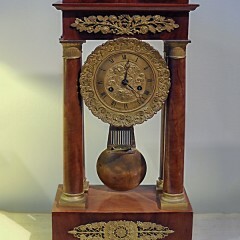 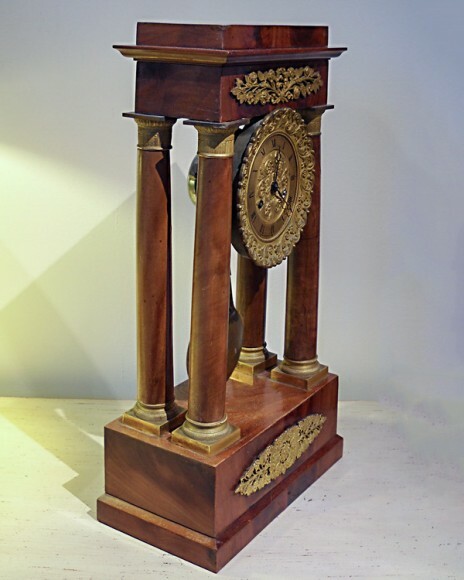 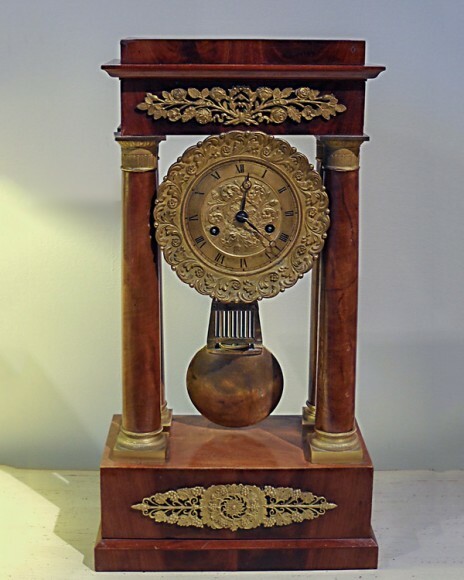 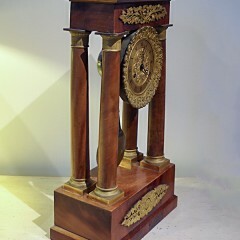 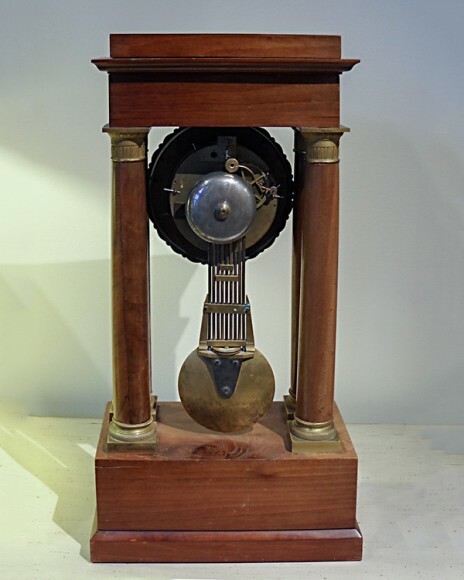 French Charles X portico clock with flame mahogany veneers and gilt bronze mounts. 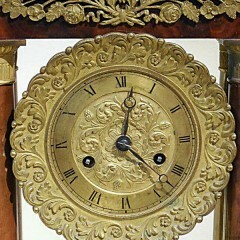 Supported by four Egyptian columns. Roman counters on the gilt face and center and a brass drop pendulum. 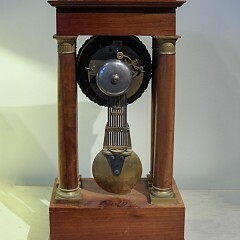 Nineteenth century.